A hidden world is being constructed that will change the way you access information forever. Beneath your feet, in the walls of offices, on streetlights and underneath the products in stores, tiny beacons are being secreted that broadcast a Bluetooth signal. Some get online, others talk to each other, but all will soon communicate with your phone. This is the 'physical web'. "Beacons are a tiny Bluetooth radio that have a fairly short-range signal – on purpose because you're trying to determine proximity – and every beacon broadcasts its own unique string of characters," says Trevor Longino, Head of PR and Marketing at beacon maker Kontakt.io. "Your phone recognises each particular beacon and it takes either a simple or a complex action." A simple action would be for your phone to 'see' a beacon and receive an alert, perhaps a voucher for the shop you're standing outside, or to unlock a door, or even change the music in your house as you walk from room to room. However, most are 'beacon with internet' and offer monitoring, mapping and transactions using the web connection on your phone. By studying where you go, how long you stay and who else is with you, you could be accurately billed for using a karaoke booth, a gym or even for watching a movie in a multiplex. Beacons can record how often you walk past a particular store, while your phone can perform simple trigonometry to calculate exactly where you are while indoors, where GPS doesn't exist. "Beacons broadcast about three times per second," says Longino. "They're small, last for a relatively long time, and are capable of relaying a unique piece of information constantly, and in a manner that's usable by virtually every smart device produced in the last three to four years. As such, they give a context to the real world that's readily available to almost anyone." How important are Bluetooth beacons? Beacons help to provide what a user needs, in the right location, and at the right time. "Beacons help to connect physical objects and spaces with digital devices," says Mike Crooks, Head of Innovation, Mubaloo Innovation Lab, who calls them 'assistive technology'. "Used properly, the technology is able to dramatically improve the way in which people interact with the things and spaces around them by providing context." Beacons have been described as 'transformational' for some businesses, potentially saving millions in efficiency costs – and making a customers' life much simpler. "Beacons mean that apps are able to open in the right place, helping users reduce the number of screens they need to go through to get to what they need," says Crooks. So a shopper can stand in front of a product and be prompted by their phone to open either an app or a web page with more information. The same thing can happen at museums, in warehouses, at bus stops and in airports to help people find location-specific information. Until Google unveiled its own effort, Eddystone, Apple's iBeacon was the only game in town. While iBeacon is all about apps and works best on iPhones, Eddystone is designed to be an open format, supporting multiple frame types and versioning to make introducing new functionality easy. Its beacons are more flexible, allowing cloud-control of the content they contain. They're also able to broadcast a web URL to mobile browsers; iBeacons rely only on apps. Eddystone also allows telemetry data, such as updates on the temperature and the battery status of beacons, which should make it more popular for industrial use, such as in warehouses. 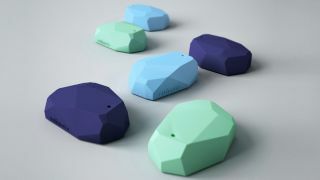 The major beacon makers, Kontakt.io, Estimote, Bluvision, Radius Networks and Onyx are all on-board, and ABI Research has forecast Eddystone to become the dominant standard in the BLE Beacon industry by 2020. "It's not so much about rivalling iBeacon, it's more about providing a framework that provides a standardised way that devices can read beacon IDs, across iOS and Android," says Crooks. "While iBeacon will work slightly better for proximity awareness on iOS devices, Eddystone means that developers or companies can use a single SDK in their apps that delivers enhanced functionality." Will Eddystone become the dominant standard? "Apple can go on the defensive and try to limit iOS engagement with Eddystone and the physical web or it can look to evolve the standard in areas such as accuracy, range, and hybridisation," says Patrick Connolly, Principal Analyst at ABI Research. "This battle is far from over, but Google has looked at where the market is going next and produced a standard that can catalyse growth." Eddystone beacons should also be more secure than iBeacons because they can't be cloned, thanks to the use of Ephemeral Identifiers (EIDs) that change the ID regularly.